Is James Dow the Ironman? Set the amidst spectacular Pembrokeshire scenery the inauguaral Ironman Wales took place on the sandy beaches of Tenby, with over 1650 entrants signing up to complete a 2.4 mile swim, 112 mile bike, and 26.2 mile run. 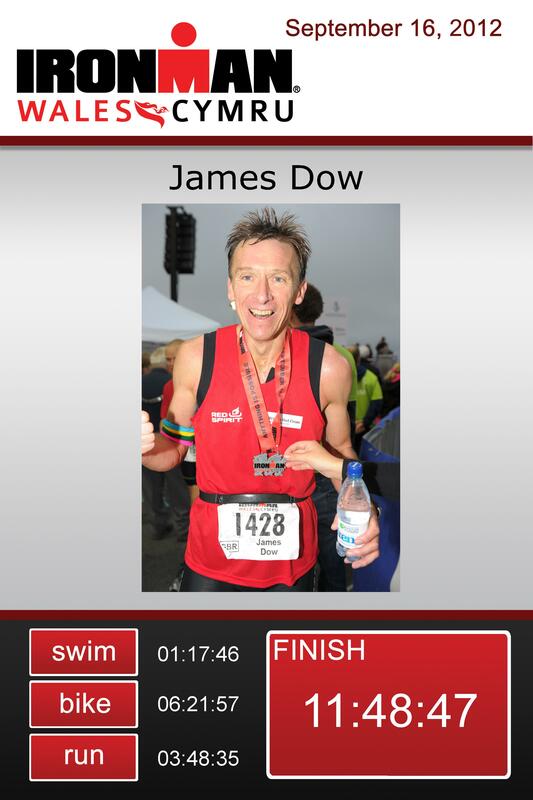 Phew………..
With a huge amount of training, determination and some might say a touch of madness, James completed the Ironman in just 11.48.47 hours and in doing so raised a substantial sum for The British Red Cross Society. JustGiving and Virgin sends your donation straight to The British Red Cross Society and automatically reclaims Gift Aid if you’re a UK taxpayer, so your donation is worth even more.